The Sunnegga-Rothorn valley station (1,620 m) lies beside the Vispa, the river that flows through Zermatt. 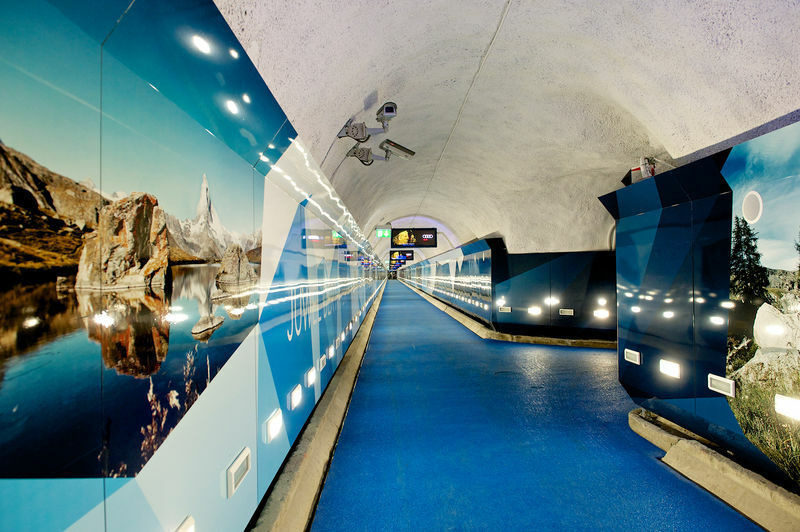 The ticket counter area is located by the entrance of a long tunnel fitted with electronic information panels. 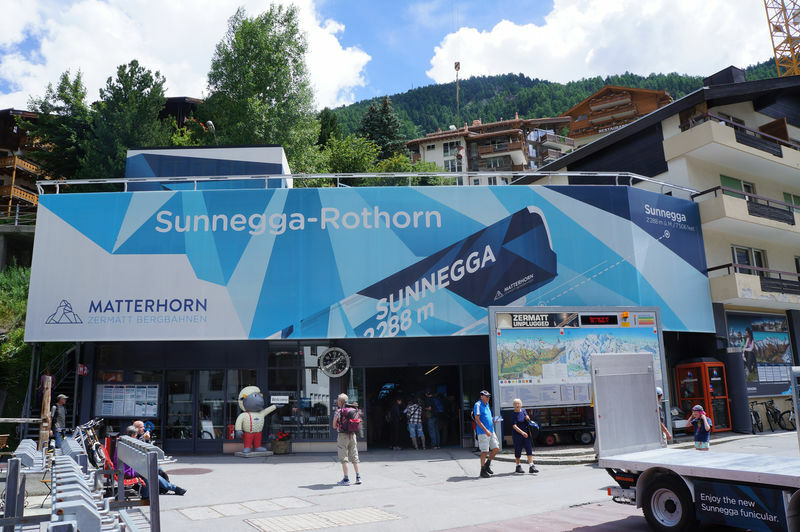 Since 1980, a funicular has carried Swiss and foreign guests up to Sunnegga. In former days the area had a walkers’ lift and then a chairlift; the funicular was Switzerland’s first to run entirely underground. 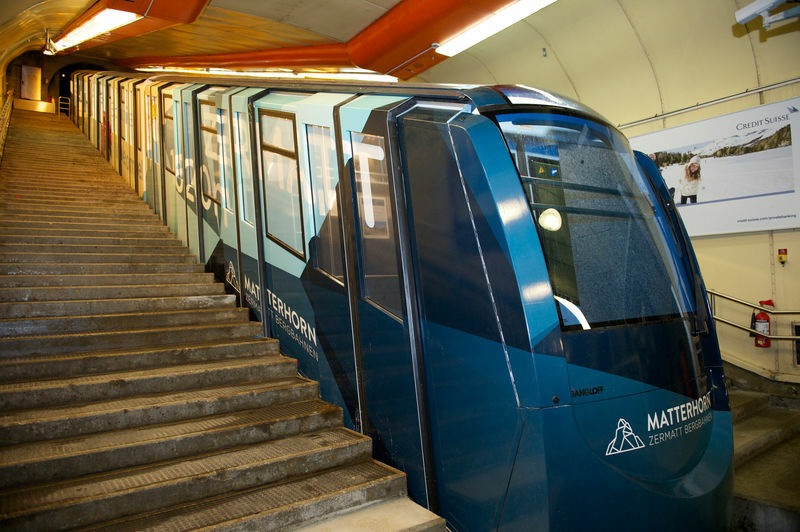 The funicular was fully renovated in 2013, and now has a capacity of 2,550 passengers per hour. The ride takes 3 minutes. In summer, the Sunnegga funicular carries hikers, mountain bikers and other visitors up to the heights. 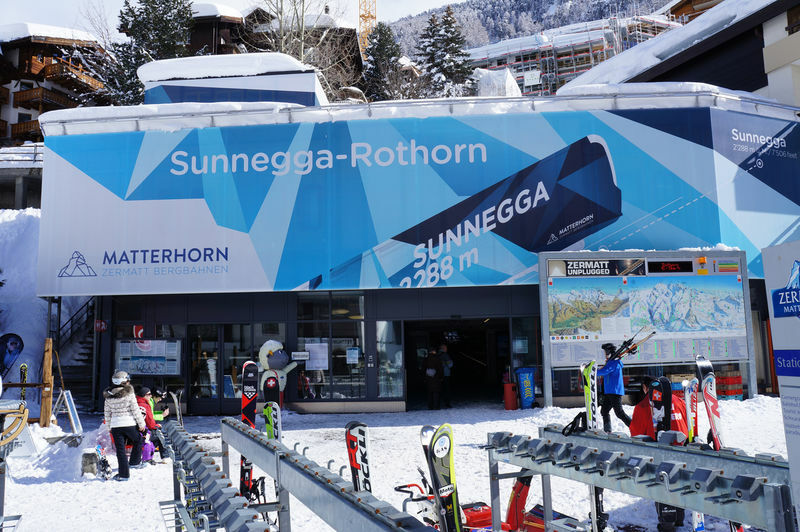 Among the special experiences on offer is the thrilling kickbike ride from Sunnegga back down to Zermatt. Paraglider pilots also use the trains. In winter, skiers and snowboarders make up the bulk of passengers – but leisure visitors, sun-worshippers, winter walkers and snowshoe hikers ride the blue carriages, too.